USA Today Archives - Joelle Delbourgo Associates, Inc. They marched under the heat with 40-pound rucksacks on their backs. They fired weapons out of the windows of military vehicles, defending their units in deadly battles. And they did things that their male counterparts could never do–gather intelligence on the Taliban from the women of Afghanistan. As females they could circumvent Muslim traditions and cultivate relationships with Afghan women who were bound by tradition not to speak with American military men. And their work in local villages helped empower Afghan women, providing them with the education and financial tools necessary to rebuild their nation–and the courage to push back against the insurgency that wanted to destroy it. For the women warriors of the military’s Female Engagement Teams (FET) it was dangerous, courageous, and sometimes heartbreaking work. Beyond the Call (Da Capo/Hachette, November 2018) follows the groundbreaking journeys of three women as they first fight military brass and culture and then enemy fire and tradition. And like the men with whom they served, their battles were not over when they returned home. Eileen Rivers is a USA Today editor and editorial board member. Formerly with the Washington Post, she has been writing and reporting for more than fifteen years and has produced several multimedia online interactives covering the wars in Iraq and Afghanistan. A veteran of the U.S. Army, she served in Kuwait following Desert Storm where she was sent into the former combat zone as an Arabic linguist, collecting and translating information from enemy targets. Rivers lives in Maryland. 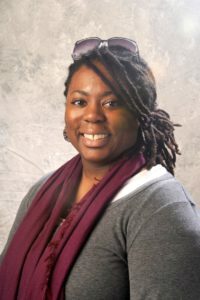 Eileen Rivers is a digital content editor for USA TODAY’s Editorial Page for which she writes, develops and edits online interactive content. She won an Emmy for her recent “Re-entry Project” during which she headed a team of journalists who visited prisons across the country to tell the stories of repeat offenders. Her goal in developing, editing and publishing the project was to get the stories behind America’s recidivism numbers and figure out what’s lacking for prisoners in the U.S., a country with one of the highest repeat offender rates in the world. She has been a journalist for more than 20 years, covering government, crime, incarceration and the military. Before becoming an editor at USA TODAY, Eileen was a copy editor at The Washington Post and wrote for the Post’s Real Estate, Metro and Arts sections. Eileen was an Arabic linguist in the U.S. Army and served in Kuwait after the Gulf War. She was also a Spanish linguist and served on intelligence collection missions in Central and South America. 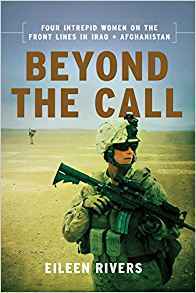 BEYOND THE CALL (Da Capo/Hachette, November 2018), her first book, focuses on the work of three women who served on female engagement teams during the wars in Iraq and Afghanistan. A native Marylander, she lives in a suburb near D.C., and has two incredibly stubborn (but sweet) cats.